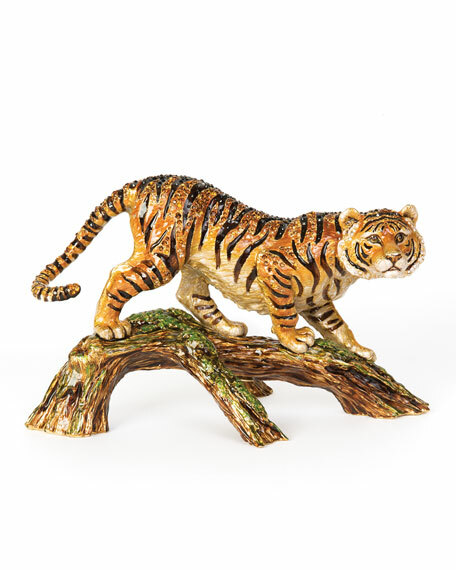 Beautifully designed tiger on a branch figurine for our exclusive Jungle Collection, hand-painted enamel and set with Swarovski® crystals. Handcrafted figurine with Swarovski® crystals. 2"W x 7"D x 6.3"T.
Handcrafted Arabian horse figurine. 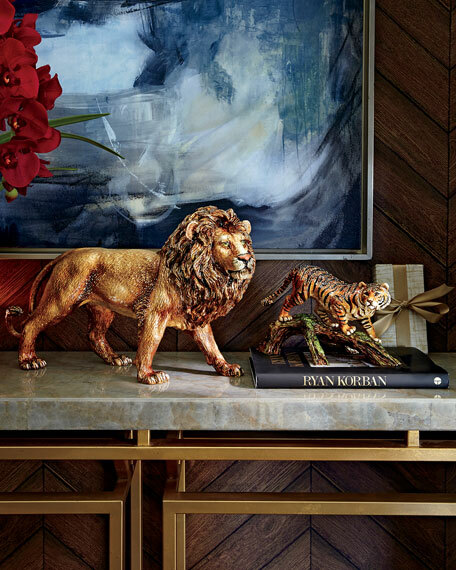 Beautifully designed for the Highland collection. Hand-painted enamel and set with Swarovski® crystals set on a marble base. 17"W x 6"D x 14.5"T. Made in the USA. Handcrafted elephant figure. Made of cast pewter with a 14-kt. matte gold and light brown antiqued finish. Hand enameled and hand set with Swarovski® crystals. 9.75"W x 4"D x 6.5"T. Made in the USA. Handcrafted robot clock. Pewter with a silver finish. Hand-set with Swarovski® crystals. Glass face clock component includes battery. 5"W x 3.5"D x 8.25"T. Made in the USA of imported materials.